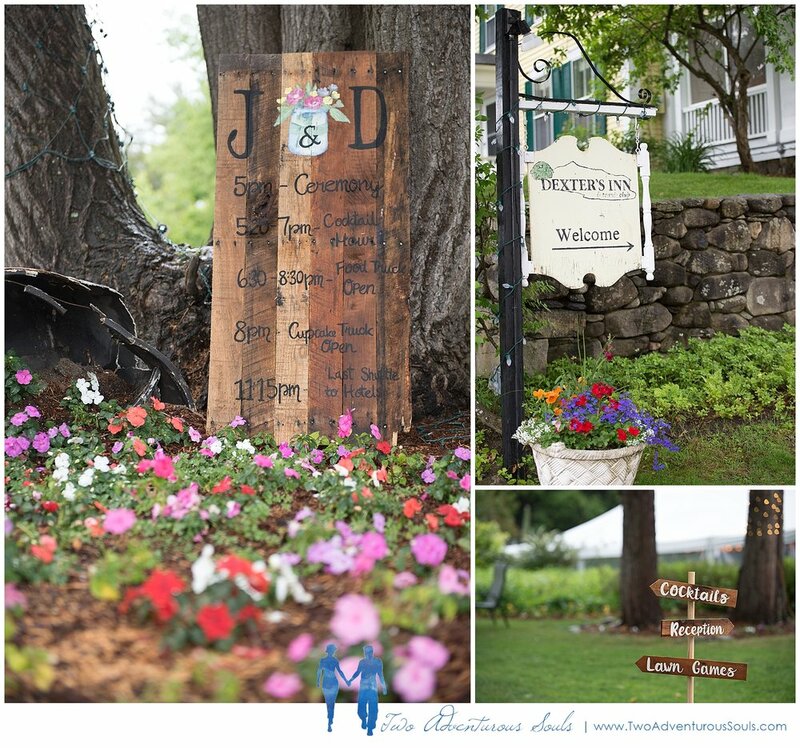 Saturday was Jaime and Dan's Dexter's Inn Wedding. While the weather may not have cooperated for the day, their friends and rallied together and made it the most perfect day! When I arrived with Jaime the girls were gathered around her while she had the finishing touches to her hair. All her girls were so supportive and cheering her on. You can tell it's going to be an awesome day when you have 7 of your best friends surrounding you with so much love. When Dean joined up with the guys they were laughing and having a great time. There was a window connecting the bathroom, where some of the groomsmen were showering, into where the rest of the guys were hanging out. Whether they knew it or not, some of the showering groomsmen were serenading the guys with some lovely singing in the shower. We noticed a theme throughout the day, the entire family is big fans of Whiskey and Scotch. The venue was decorated with aged barrels and gorgeous flowers. The groom was even in the process of distilling his own barrel of a blend of 5 different whiskeys. That will be a great anniversary toast! I even noticed that their grandmother and one point at the reception, ordered a glass of scotch from the bar. Rock on Gram! Of course, Dan's last name is O'Gorman, and being of Irish decent ourselves, Dean and I completely understand the love of scotch and whiskey! Jaime and Dan's ceremony took place under the tent on the lawn of Dexter's Inn. As New Hampshire wedding photographers, we are familiar with working in all sorts of tents, from backyard to full floored tents. Dexter's Inn's tent was unique because it was set up on the pad of what looked like a very large tennis court - it was perfect for the rainy day. Typically if it rains in a tent the edges of the tent get wet and the grass gets mushy. Not the case here! Dexter's Inn had heaters installed under the tent, a perfectly dry floor everywhere, and even an attached tented area for the bathrooms. The guests were certainly comfortable and were able to kick back and relax to watch Jaime and Dan tie the knot! It was a bright and airy ceremony with loving stories about the couple. It was even Disney perfect, with the addition of a little chipmunk who wanted to be a guest! 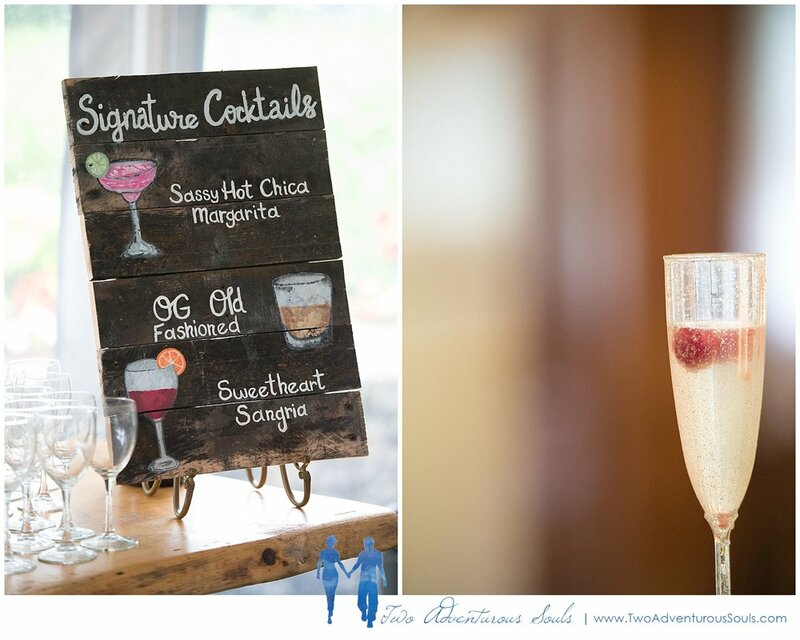 After the ceremony the guests were treated to dinner at a food truck and cupcake truck! This was our first food truck wedding, but hopefully there will be so many more! After dinner the guests joined Jaime and Dan on the dance floor and partied the night away. I saw quite a few guests try to sneak off the dance floor for a break only to quickly turn around and pulled back in by another great song. 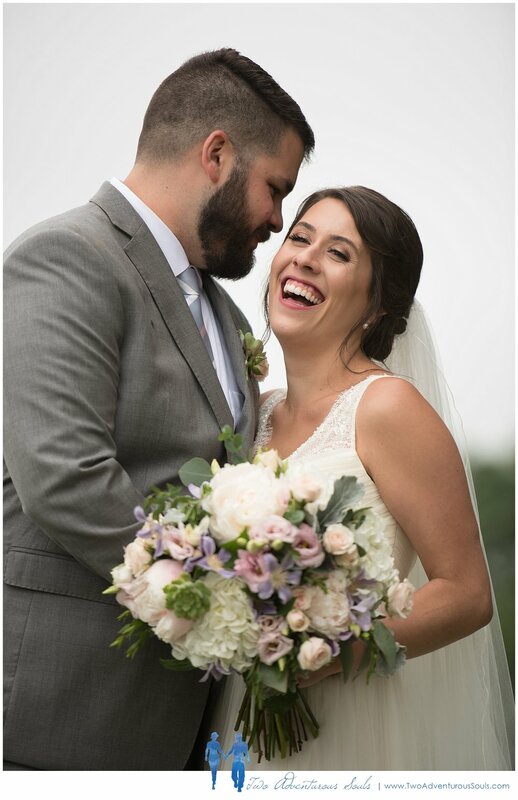 Brittany and Dean are creative New Hampshire Wedding Photographers who love having fun with our wedding couples. We work together and separately to capture every emotion and angle on your wedding day. Two Adventurous Soul’s storytelling style will capture your wedding both in candid and naturally posed images. 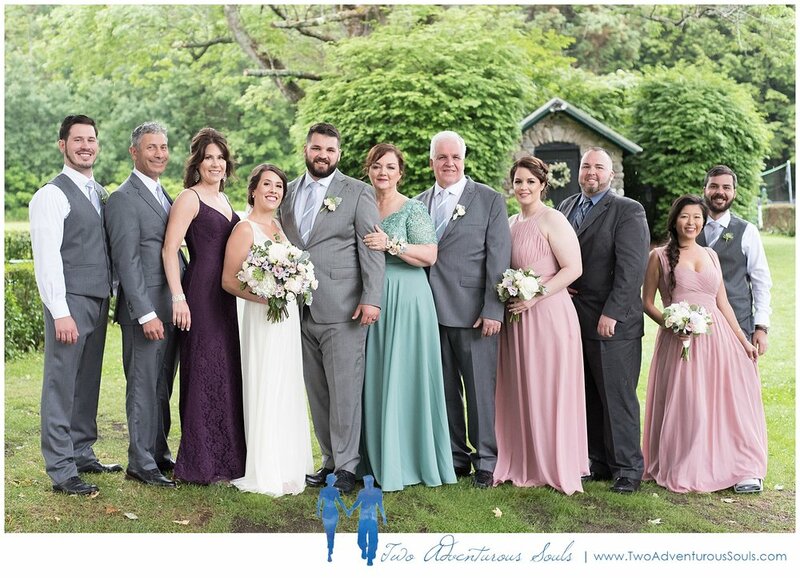 Whether you’re planning a Dexter's Inn Wedding, Destination Wedding, Maine Wedding, Costa Rica Wedding or anywhere in New England we will be there for you! For more info please contact us about your wedding photography!